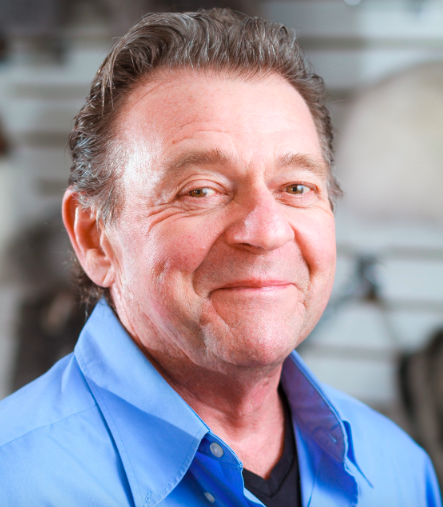 Darryl Meattey is the CEO of Surell Accessories. Former colleagues Darryl Meattey and Sue Adams (with “Surell” being a combination of their first names) founded Surell Accessories in 1979. Upon Adams’ retirement in 2002, Surell became a family business with Darryl’s wife Lois, and his two sons Daniel and Dominic, all partners in the company. Based in New Hampshire, Surell has been the producer of high-quality, luxury fashion accessories for women for more than 35 years. Specializing in fine fur, shearling, suede, and leather, Surell offers scarves, hats, gloves, earmuffs, and vests. Products are currently available at fine retailers including: Saks Fifth Avenue, Neiman Marcus, Lord & Taylor, Bloomingdales, Brooks Brothers, Nordstrom, Macy’s, and others across North America and worldwide. Surell’s headquarters and outlet store are located in Troy, New Hampshire; and its showroom is located at 55 West 39th Street in New York City. What is your “back story”? I met Harry Wallhandler, the owner of a children’s fur accessories firm while standing at a payphone. I helped him unload a tractor-trailer containing different manufacturing products and then I began working for him. Within five years, I became the President of Cathy Manufacturing. Harry went out of business two years later and I formed Surell Accessories with Sue Adams, which is a combination of our first names Sue and Darryl. Oh yes! Right before a customer meeting, I had bent over too far and split my paints. At that point, I had wondered whether I should cancel the appointment but decided to take the meeting. What does your company do? Can you share a story? We are the premier importer and manufacturer of fine fur and faux fur accessories which we sell to major department stores and e-commerce companies across the country. We are a family-based business, have an unusually wide array of price points, and still have the capacity to manufacture in the U.S.A.
Just recently, we had a product for a large customer that was detained off the coast of Cuba because the shipping company had just gone out of business. We worked with our supplier in China as well as the customer to replace much of the missing product and shipped the merchandise by air to fulfill our commitment to ship in time prior to Black Friday. Being a small business had its advantages. Is there a particular person who you are grateful towards who helped get you to where you are? Can you share a story? We’ve had many people who have fueled our successes along the way, but my mentor was Dan Levy who helped get us from Fitzwilliam New Hampshire to Fifth Avenue. He was like a father figure. We try to give back to the local community in New Hampshire where our corporate headquarters are based by donating to local charities and schools. We have an annual event in early December and all proceeds go to a favorite charity, Helping Hands. Throughout the years, I’ve also mentored many local athletes as a baseball coach. What are your “5 things I wish someone told me before I launched my Start-Up” and why? 1). That good employee/employer relationships are hard to establish and maintain. 2). That running a business is quite complicated because there are so many different variables. 3). I wish someone had pointed out how important sales are. 4). When I first started, I didn’t realize the fast-changing nature of the fashion industry. 5). It’s so important to stay on top of technology and how it impacts business today. I’d love to meet Bill Belichick because I have been coaching my entire life and have modeled much of my business and personal life around his personal philosophies. I would like to ask him how to achieve success and maintain it while keeping the individual players together as a team.